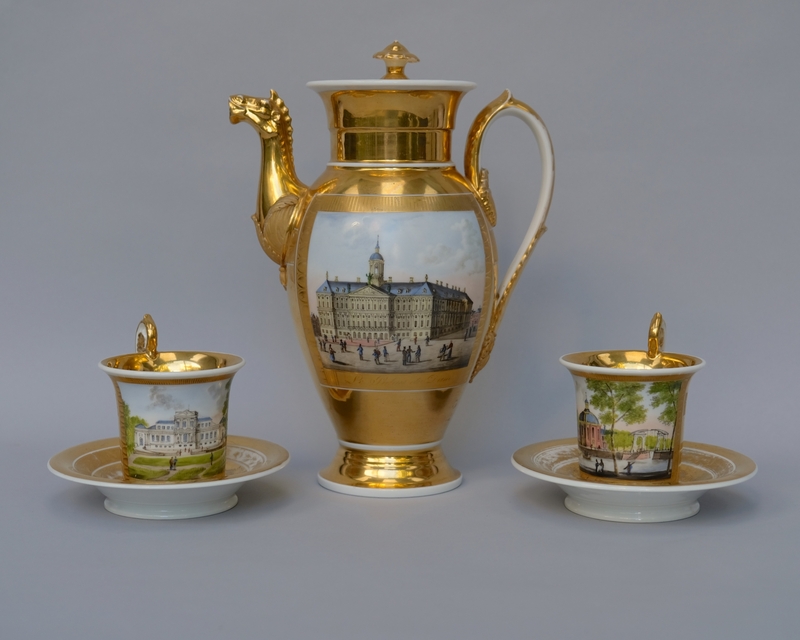 Two French Empire cups and saucers and a coffee pot, in white porcelain, partly gilded and painted with images of Dutch topographical cityscapes. 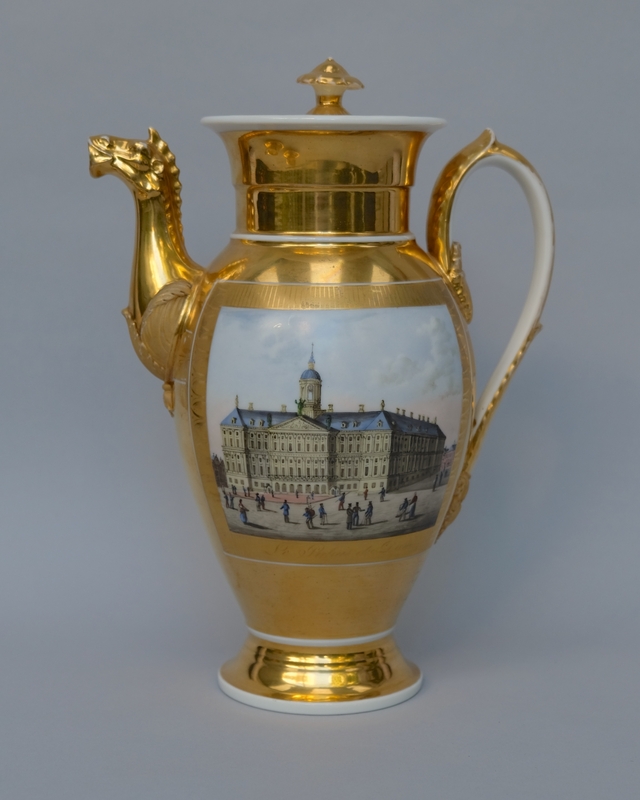 On one side of the coffee pot we see the Royal Palace on Dam square in Amsterdam (with caption 'Le Palais du Dam') and on the other side the Montelbaanstoren ('Vue du Mont Alban à Amsterdam'). 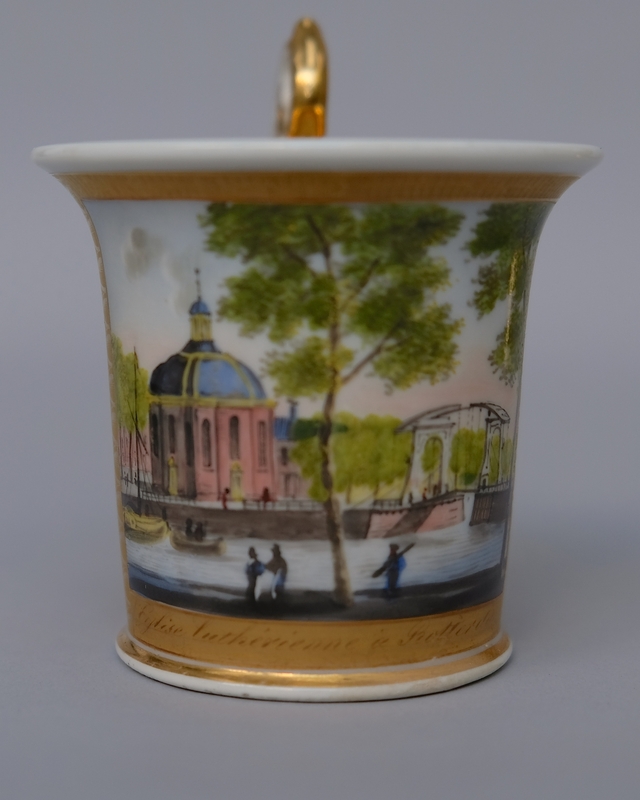 On a cup we see Paviljoen Welgelegen, the current provincial government in Haarlem ('Pavillon du Roi près Haarlem') and on the other cup the now demolished Lutheran church in Rotterdam ('Eglise luthérienne à Rotterdam'). 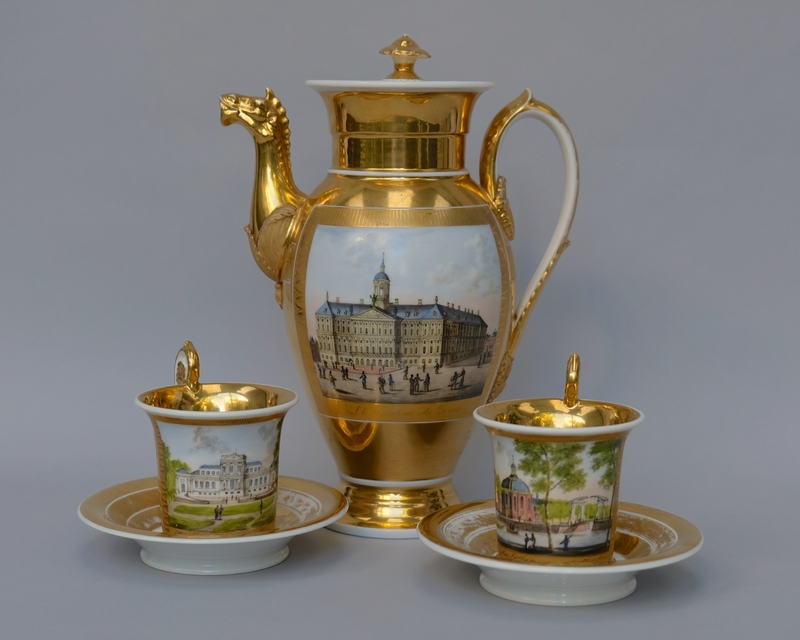 These beautiful cups and saucers and coffee pot have probably been part of a large service all decorated with Dutch cityscapes. 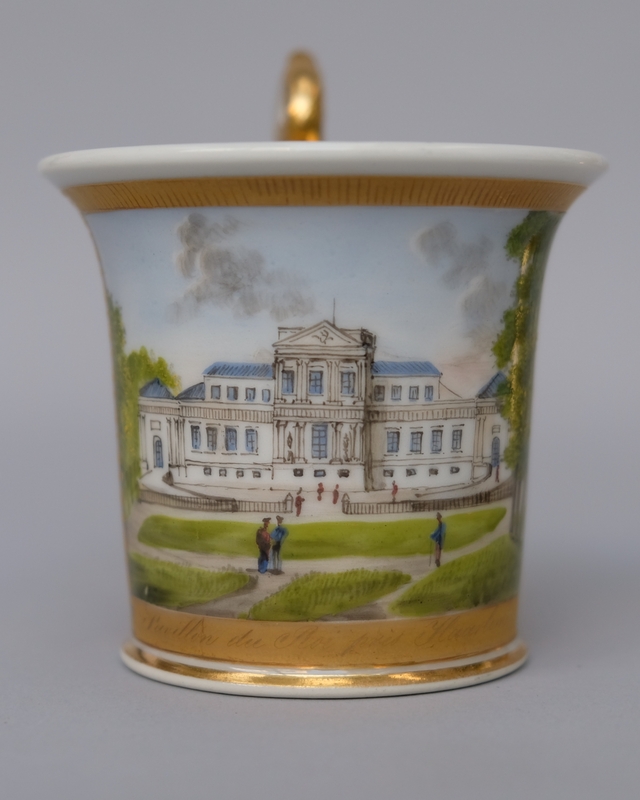 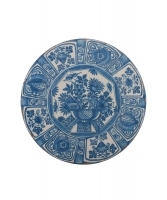 The images are painted after prints and the captions in French suggest that the porcelain painter relied on prints from the French period, probably engravings by Evert Maaskamp. 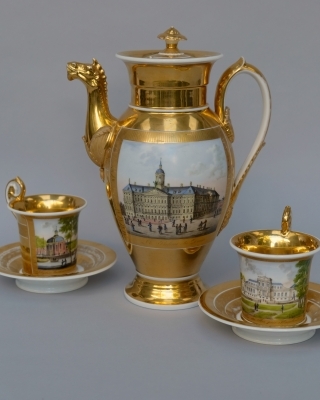 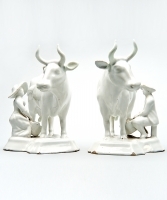 The model of the pot and cups as well as the illustrations indicate a date between 1818 and 1830. 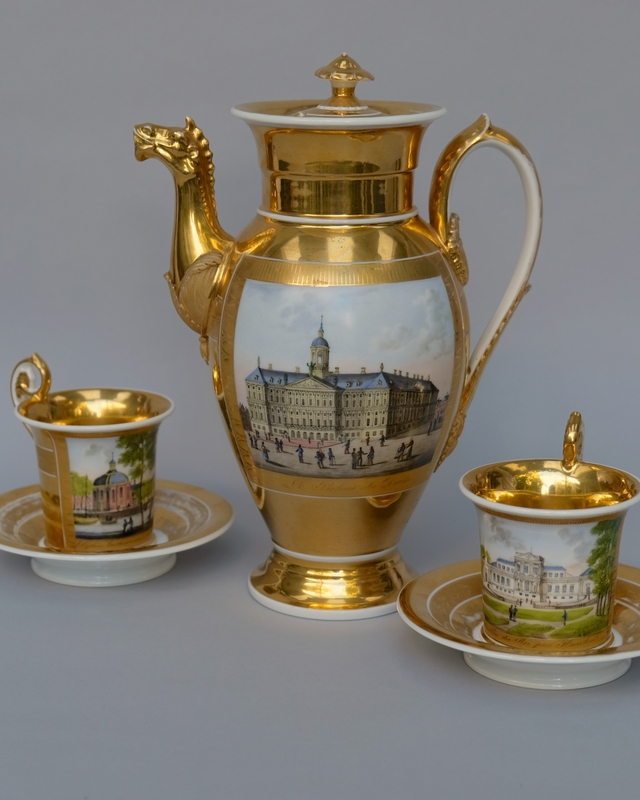 The quality of the gold on the porcelain, the beautiful painting and the palaces depicted suggest that the service was made on behalf of a wealthy family or a member of the court of King Willem I. 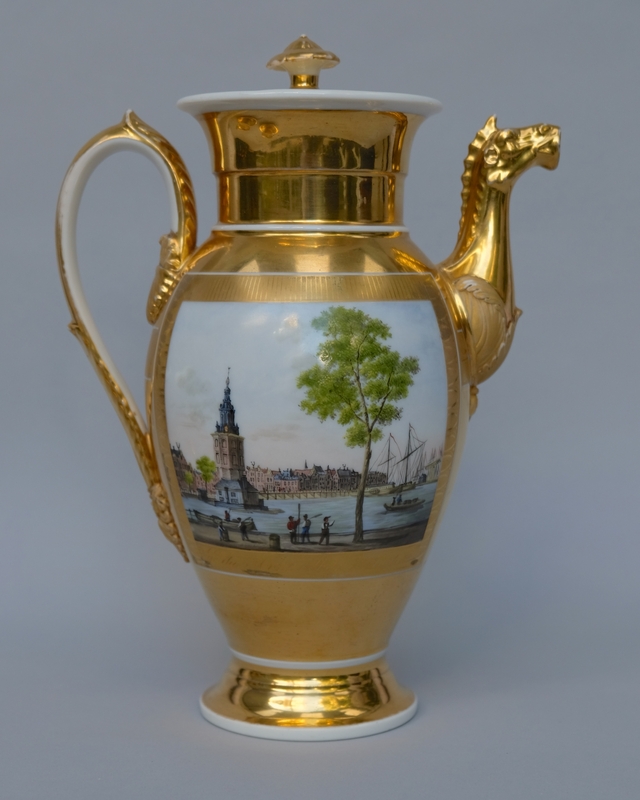 Coffee pot: 27 cm high. 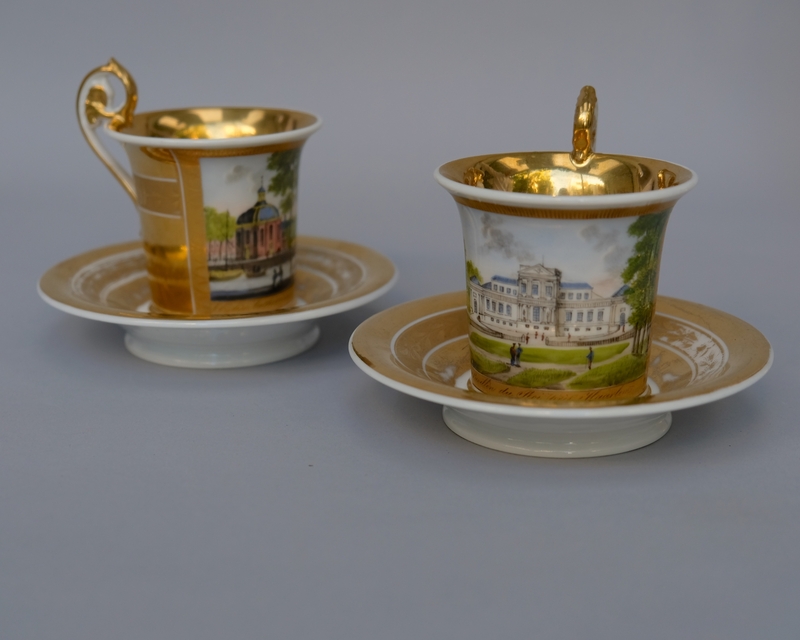 Cup and saucers 10.5 cm high.